Databases: Key on Latin America which provide online access to thousands of journals. The University of Illinois Library subscribes to many primary source databases pertinent to Latin American and the Caribbean. For additional information, see the reference and research resources from the Latin American and Caribbean Studies Collection at the International and Area Studies Library. ISource for approximately 300,000 journal article citations about Central America, South America, the Caribbean, Mexico, Brazil, and Hispanics/Latinos in the United States. Currently provides over 100,000 full text of articles from more than 600 key social science and humanities journals. Bibliographic database maintained by the Universidad Nacional Autónmoma de México (UNAM) offering about 350 thousand bibliographic records of articles, essays, book reviews, literature reviews, short notes, editorials, biographies, interviews, statistics and other documents published in about 1500 journals from Latin America and the Caribbean, specializing in social sciences and humanities. Repository of Latin American and Caribbean libraries providing open access to academic articles, thesis, presentations, working papers, and multi-media sources. Search the online catalog of the Network of Virtual Social Sciences Libraries from Latin America an the Caribbean, and CLACSO's Latin American and the Caribbean Social Sciences bookstore, including over 1500 open access online books published by CLACSO and affiliated centers. LARRP provides open electronic access to the tables of contents of journals published in Latin America and the Caribbean between the years 1994 and 2009. LAPTOC consists of 975 academic and research journals published in 29 countries in the region, including bibliographic references to more than 340,000 articles in the area's major languages. A "portal of portals" to index and full text academic journals from Latin America, the Caribbean, Spain, and Portugal designed and maintained by the Universidad Nacional Autónmoma de México. Comprehensive reference resource providing more than hundred full-text scholarly journals with articles in the social sciences and humanities for the interdisciplinary academic study of Hispanic and Latin America and the Caribbean Basin. It offers key titles in English, Spanish and Portuguese indexed in the Hispanic American Periodicals Index (HAPI). Gathers journals from 15 Latin American countries, with over 550 titles and 16,000 articles available in PDF format, along with abstracts in Spanish and English, reference information and other metadata. With the support of la Universidad Autónoma del Estado de México, Redalyc offers its material for free to download under a Creative Commons license. SciELO is a bibliographic database of open access journals and a model for cooperative electronic publishing in developing countries, originally from Brazil. The DOAJ provides access to over 2,500 scientific and scholarly journals. The DOAJ covers free, full-text, peer-reviewed journals from many disciplines and in many different languages. University of Illinois Online Catalog: This catalog searches for items in the the University of Illinois' collection. Classic Catalog: This catalog holds the same content as the University of Illinois Online Catalog, except you can also use it to search by call number. I-Share: This catalog searches for items in more than 80 academic libraries in Illinois, including the University of Illinois. A patron is able to request materials and have them sent to any library on the the University of Illinoiscampus. 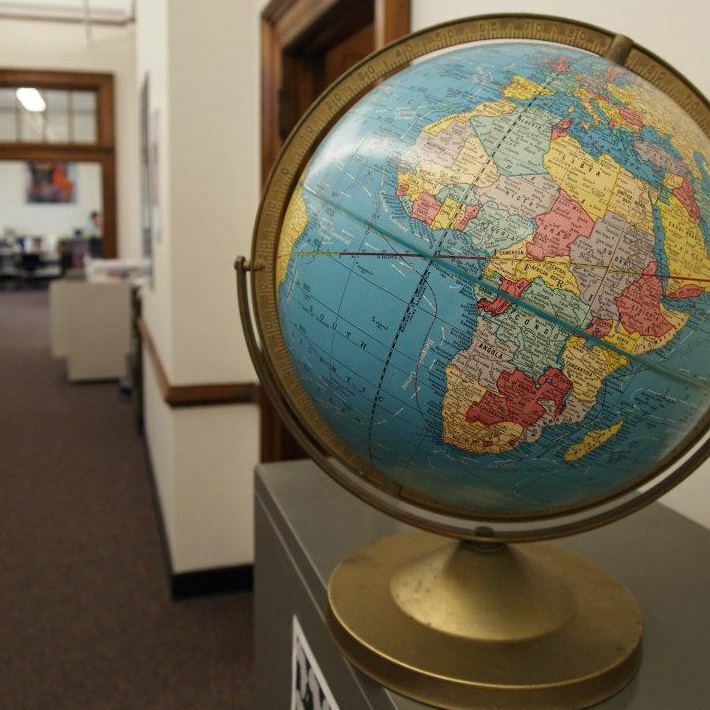 Interlibrary Loan (ILL): This catalog allows the user to borrow materials on a global scale. If there is an item that is not available through the University of Illinois or the I-Share catalog, a user is able to request it through ILL.
WorldCat: This catalog allows the users to request books that are not available through the University ofIllinoisCatalog or I-Share. Items take a couple of weeks to arrive, so it is best to plan ahead. Library of Congress: This is the catalog for the Library of Congress. The user will also find additional resources like finding aids or e-resource catalogs. Library of Congress Gateway to Library Catalogs: This provides a list of other library catalogs and links. It is organized in alphabetical order. Existing guide from Social Sciences, Health, and Education Library (SSHEL) about Guide to Sources in Recreation, Sport and Tourism. Guide to Sochi 2014 Winter Olimpics.